Assange revealed war crimes, surveillance abuses, political corruption, media malfeasance and more, not just in the US but around the world. He published documents that reflected poorly on Hillary Clinton. Most of the people celelbrating and justifying Assange’s arrest are the same people who hysterically blathered about Russian collusion for the past 2 years and were proven spectacularly wrong. They also blame him for Hilary’s defeat and want him imprisoned. I hope Assange’s extradition from Britain to USA will be stopped or that President Trump will pardon him. Please sign the – Free Assange petition. 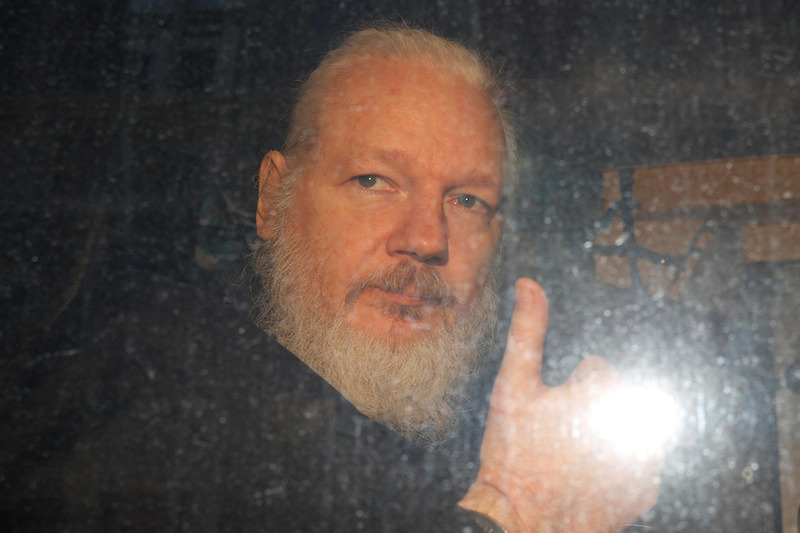 What an ignominious end to Julian Assange? In this world of ours, the powerful always rule and they are always the winners. Whatever, they claim seem to carry more weight than by the weak who may actually tell the real truth. It’s a very distressing environment. In the case of Tibet, a foreign power uses blazing guns to conquer a hapless and peaceful people but the powers that be remained mere spectators taking the words of the conquerors rather than the poor victims who were crying out telling the world that we have always been an independent nation. Even our neighbour India rejected our calls for help and turned a blind eye by cozying up with the communist dictators. Today they are paying the price for their appalling insensitivity and short sighted policy of appeasement. The story is no different with Assange. He exposed the crimes committed by the big powers like the US and UK by invading another sovereign country with dubious and totally unfounded claims of “weapons of mass destruction”. No such weapons were ever found but they waged a brutal war which killed 460,000 in Iraq and another 31,000 civilians were killed in Afghanistan as a direct result of war of terror by the coalition. The Wikileaks exposed the crimes of US soldiers deliberately killing innocent civilians and this was obviously not to the liking of the US and its allies. Even the sacred freedom of speech would not apply to Julian Assange because it had damaged the holier than thou attitude of the western powers and exposed their hypocracy. This shows that truth is used to peddle vested interests when it suits them but when it hurts their own interest, truth has no real value. It is an uncomfortable inconvenience. Assange and Chelsea Manning are no “conspirators”. They are vanguard of truth. Comments on this post will automatically close in 4 hours.